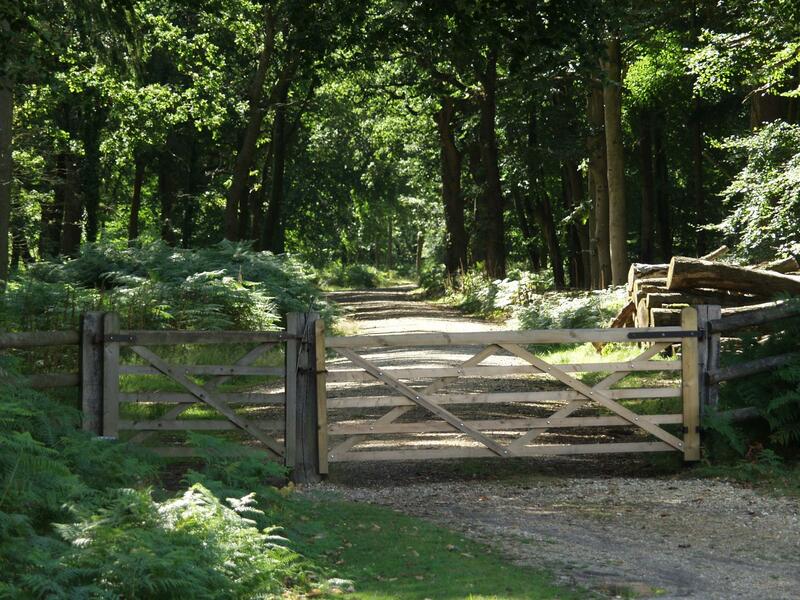 A New Forest gate, well padlocked. A familiar part of my youth. 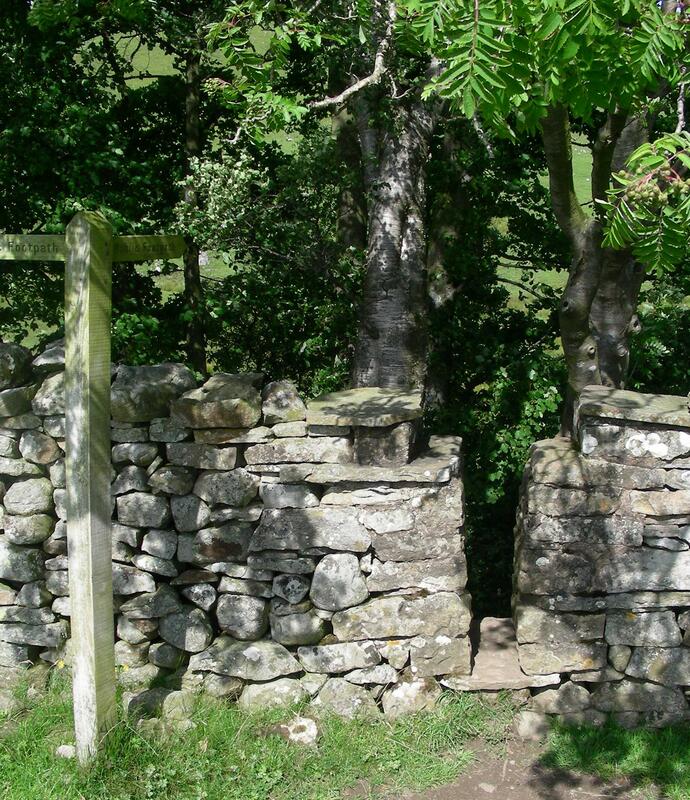 I grew up opening gates, unlocking barriers, and sometimes climbing over fences that had no other means of being navigated. 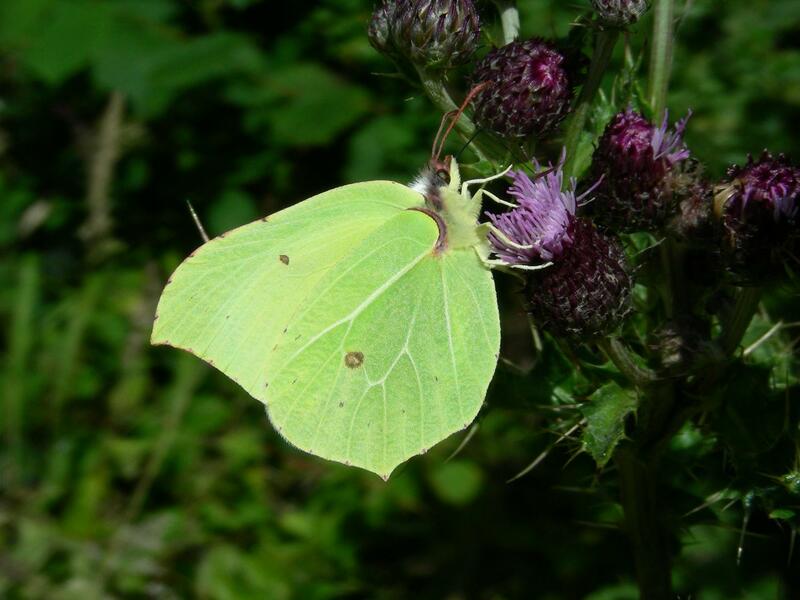 That was part of life as the daughter of a Head Keeper in the New Forest, at any chance I had to go out to work with him, and even when we just went because we love being out in the natural world. When we went out looking at wildlife, or some other excitement, I was given ‘the’ key and spent much of our travelling time behind the scenes of that wonderful place, hopping in and out of the land-rover/van unlocking and opening gates and barriers, and then closing them again once Dad had driven the vehicle through. They all (mostly) had the same lock and many were from a limited range of designs. These days, I’m often the one driving if we’re out on the forest with him, so others get to do this. 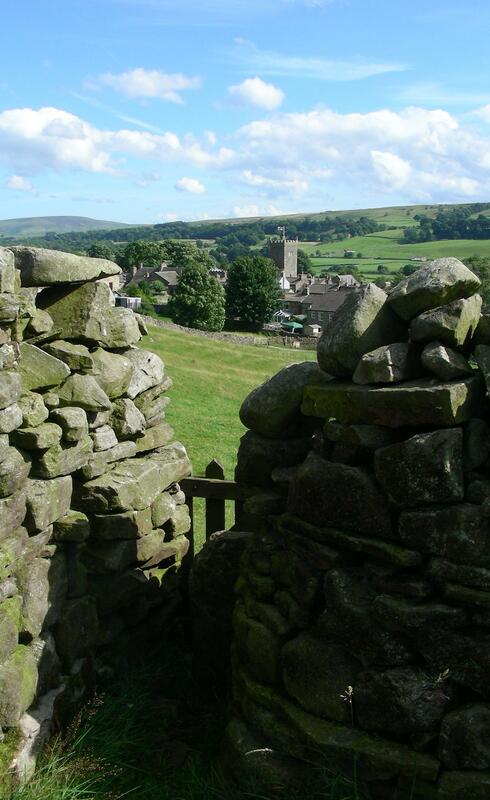 The image that speaks most clearly of my own circumstances at the moment is one of a narrow gateway, in a rather awkward field corner which was hidden when viewed from any distance, looking across to a village church. I know where the church is in this photo, but in the reality of my developing ministry that isn’t the case. Some of the reason for my sporadic blogging at present is the journey of discerning where I will serve my ‘Title Post’, or ‘Curacy’ as it may be better known. This is done under the guidance of my Diocesan Director of Ordinands, Bishops’ and others, and it isn’t a process that can be shared publicly, but suffice to say I’m waiting on “Plan B” and trying hard to learn something about patience. 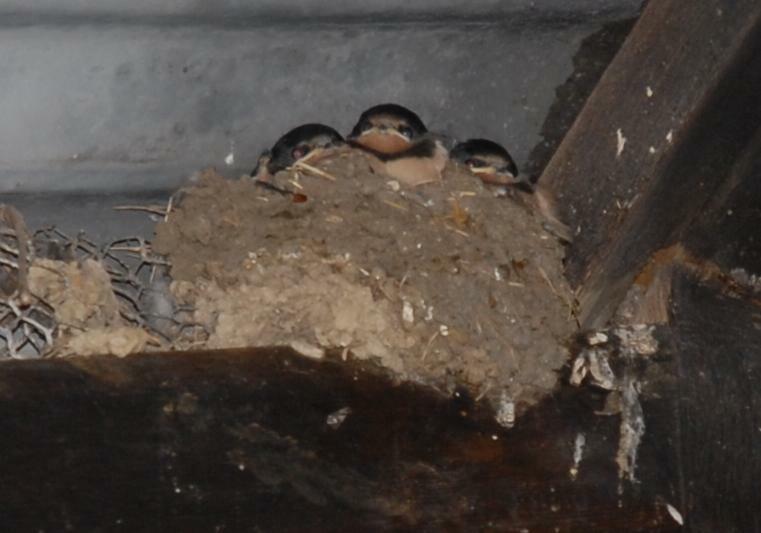 In the meantime, I shall keep seeking prayerful inspiration from my photos – and I think I might be able to put together a montage that would fit Psalm 84:3 too, but that would involve nests, rather than gates! It looks like the Swallows left before summer had had it’s last gasp! It’s now just over a week since I last saw Swallows heading South-East across the heath at the back of Blackbushe Airport. For the sake of the records in was 21st September. 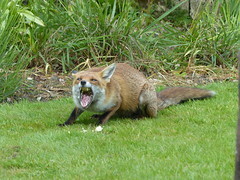 But there are plenty of other wildlife sights to keep me interested on our regular dog walks. 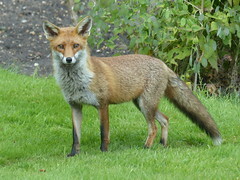 This week alone I’ve seen Buzzards and Red Kites riding high in the late summer thermals. There are Nuthatches hard at work in the copse, and out on the heath there are still a smattering of butterflies including numerous Small Heath and what I think was a faded Grayling. 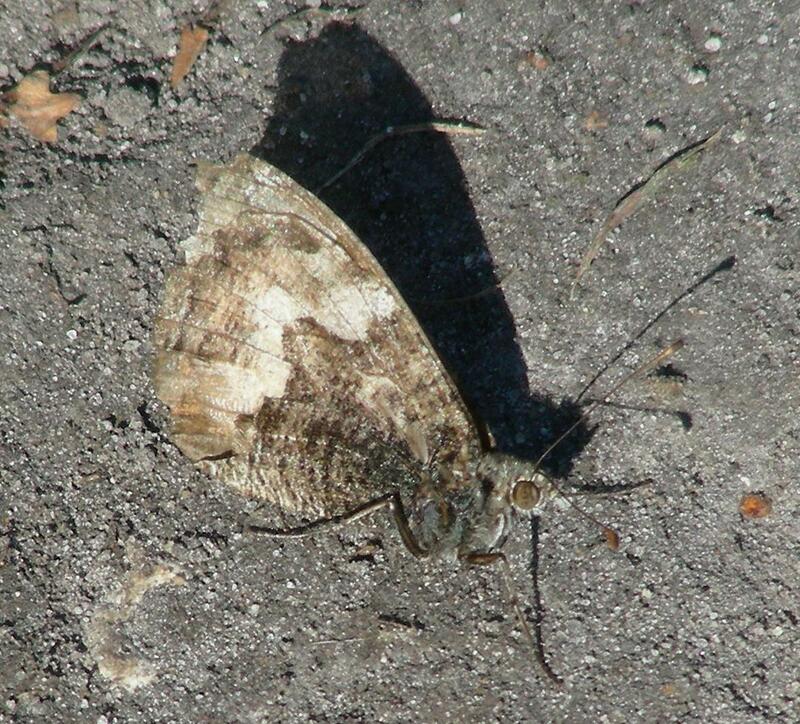 Is this a late and faded Grayling? And if you’ll excuse the pun, we’ve been swallowing the last fruits of summer too. The french beans and courgettes are over, the chard is probably on it’s last legs. We’re still pulling pot-bound carrots. I had hoped to late sow more carrots, but gardening looks like it’s going to be purely maintenance this autumn as we’re now spending alternate Saturday’s in Winchester where our son is rehearsing with the County Double-Reed ensemble. That means we’re exploring new places with the dog too, especially Farley Mount Country Park, that started our Sloe picking season. This year we’re freezing them before starting the Sloe Gin process! We’re still eating the last few tomatoes (some were roasted with garlic and sieved to a mush for winter stews). Of particular note have been the Dasher turbo tomatoes which are by far the most delicious addition to the summer salad. I shall be looking to have more than one plant next summer. Outside the late Alicante tomatoes have meant we’ve been able to produce big batches of Green Tomato Chutney (with, and without onions). Even the rather odd apple tree is feeding us. As well as contributing to the chutney, I’ve discovered a fab Dorset Apple Cake recipe in The Countryman and they are now keeping us well caked, despite not being particularly tasty raw! In other news, this weekends sees the 5th Reader from St Peter’s Yateley to be licensed in 3 years, and we’ll all be turning out tomorrow at Winchester Cathedral to celebrate at the annual Reader Licensing Service. In fact with a new vicar to be licensed to, we shall all be getting our new licenses I guess. It was really wonderful that (together with those with ‘permission to preach’ and pastoral training) we have so many people in our church who have committed to authorised ministries as lay people. A photo, of a canvas, of a photo, of a painting, of "Life..."
Well it’s been a while, but I finally achieved something special in time for my husband’s birthday today – with a lot of help from some lovely people. Back last summer, I wrote about a wonderful trip to Hitchin Lavender, and posted some of my husband’s photos of the heavenly scenes. At the time I said I was saving the best – the reason being that I wanted to get it put on canvas and hung in the extension we completed in 2009. A friend from church, Steve Mann (who is Nelson Art) for tweaking the original image slightly (at his own suggestion because he liked G’s photo when it was posted on Flickr) which removed some distant telegraph poles and people. 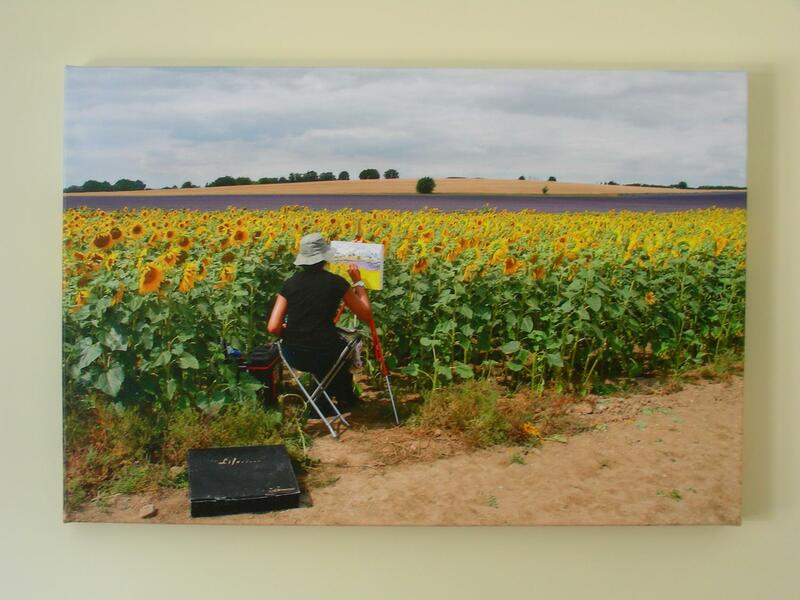 He also made the colour balance look like the sunflowers are so real you could reach out and touch them – and suggested the canvas idea. Another Christian friend (a GP who is a rather cool photographer) Dr Andy Teo (Photocillin) who suggested the right man to make the canvas and did the clever uploading bit I wasn’t sure about. And Glenn of Digital Blush who was that man, and has produced a wonderful canvas that looks like it could be an oil painting. He is a man I think we will be visiting again. Life… is good, praise God! 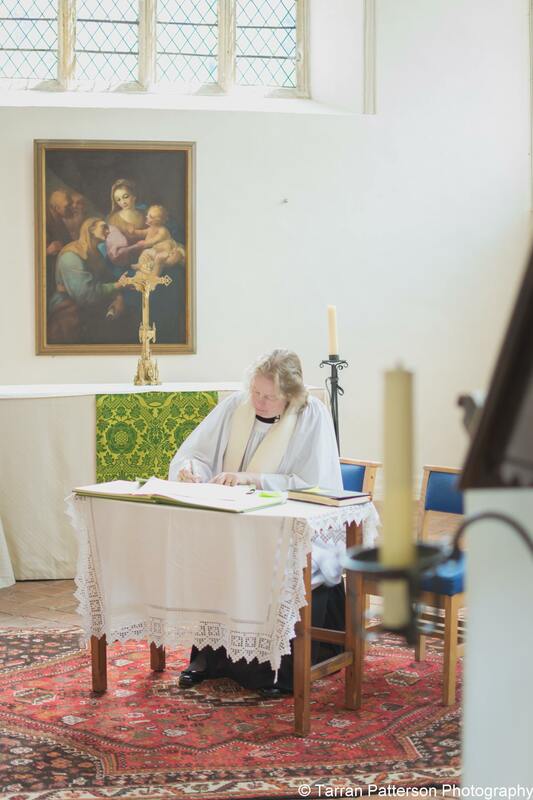 There was a brief interlude in the steep learning curve that is lay ministry in an interregnum (sorry, vacancy) last weekend, as we travelled north up the A1M for a wedding in Lincolnshire. A truly excellent and relaxed occasion it was. The wedding itself, a civil service in a hotel, gave me much to ponder if contrasted with the language of a church ceremony. The reception was in a lovely marquee on the family’s farm with lots of games, a bbq buffet with few food miles, and I even danced (to the shock of my son I suspect). But another treat was on store, as we stopped on the way home at another farm connected with the extended family of our friends… this time at Hitchin (near Letchworth). Hitchin Lavender has restarted a historic tradition of growing lavender in the area, and now makes a wonderful lunch stop between late June and early September, for anyone wishing to step off the A1M at J10. Not quite the best photo the husband took - I'm saving that! The refreshments in the old barn were delicious, and there is shade to sit outside if you have a dog. There is also an excellent gift shop selling the delightful goods made from lavender grown on the farm. Then for a small fee (which includes the scissors and bag to cut some lavender for yourself) you can walk the fields, which now include not only lavender but the most gorgeous sunflowers. The whole thing just made my heart lift, as is a fantastic antidote to long-distance car journeys. 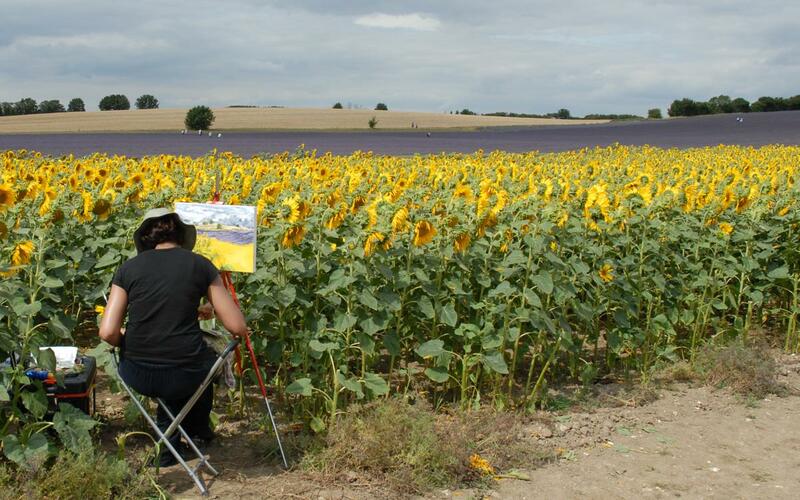 We were particularly impressed by the artist sat quietly in the edge of the sunflowers painting. I have no idea who she is, but would love to find out. I also thought the husbands photo a real cracker… and I think both could be real winners if they ever entered competitions! We even bought a couple of lavender plants to bring home – one for us for the back garden (we’ve already got a plant of their lavender in the front) and one for Dad, as a thank you for looking after the dog! 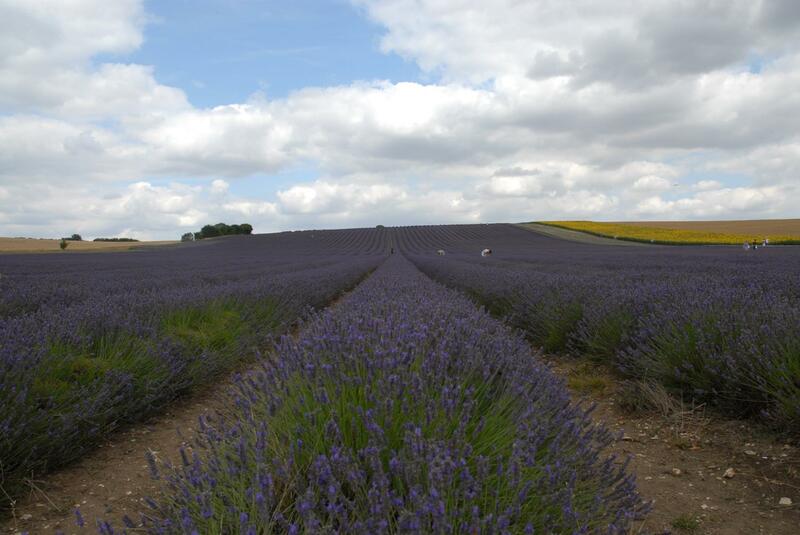 One tip – be careful in the lavender fields if you’re wearing sandals; bees sting!